Fatma Al Nabhani has alleged that she was treated unfairly in Clermont-Ferrand, France during a tournament because she's Muslim. 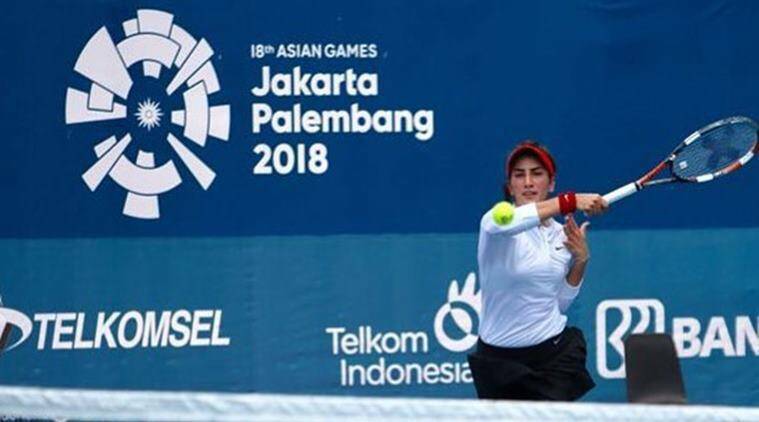 Omani tennis player Fatma Al Nabhani has accused chair umpire and officials of a $25K ITF tournament in Clermont-Ferrand, France of racism and improper treatment claiming they mistreated her during her opening two rounds in the tournament. She further added that she was treated badly off the court as well. Ranked 362 in the world, Al Nabhani is the Gulf’s first professional tennis player, and has shot off an email to the ITF recounting the incidents that transpired reports Sport360. She shared some via a video on her Instagram account. “I have been playing tennis since [I was] a little kid and participating in tournaments around the world, started to play in the pro Circuit since 2007,” she wrote in the letter to the ITF as per Sport360. “I have never faced racism in my life, I know this is a very sensitive topic to speak about but what I faced in Clermont, France was not acceptable. “Being a Muslim player and from an Arab country I wear leggings under my skirt respecting my religion and feeling comfortable to compete and continue playing tennis. “The ITF attire rule allows us to play with leggings under the knee length and I have been playing like this for the past 12 years competing in ITF and WTA [events] and I never had an issue with my attire. “Day 1, first round match against Elsa Jacquemot from France, the French chair umpire before doing the toss looked at me and said you need to remove your leggings. I told him that I won’t remove it and I have been playing like this since 12 years he said then you can’t play. I told him please check with the tournament director before saying anything. Al Nabhani went on to win the match in three sets but allegedly faced further discriminatory behaviour in the second round against French player Myrtille Georges. “1. During the whole match, the chair umpire is chatting with my opponent at the changeover in French that I don’t understand and both are laughing,” said Al Nabhani in her report. “2. Matches are played with no ball kids, whenever there is a ball inside the court I make sure to remove it before the point. My opponent refused to remove anything on her side so when I complained to the chair umpire he said it’s her side and her right, I told him at least speak to her to remove it and let’s be professional the ball is distracting me during the point, he said he can’t so the match goes on. “7/5 6/5 up my opponent serving, I collected all the balls from the court and gave it to her. She took two balls to serve and the third one she went and pushed the ball at the net in the middle of the court because she knew it annoys me. “First time I stayed quiet, second time I went to the chair umpire and told him if he can’t speak to her or take a decision please call the supervisor I want to speak to him, he said no I am not going to call the supervisor. I told him I can’t play like this please call him it’s my right to call the supervisor, he said no. Al Nabhani had seven match points in the second set but the chair umpire kept making calls against her. She states that in at least five of the seven match points he made “wrong calls”. “I went to him and said, ‘Please you need to be fair and you need to focus this is not acceptable’, he gives me a code violation seriously!!!! !” continued Al Nabhani. “While my opponent keeps swearing in French and saying bad things about me that I understand and also the crowd heard it and he does Nothing !!! Just because I am complaining and asking for my right I get a code violation!!! Not just on court, she noticed incidents off the court by the tournamemtn officials which made her feel there was bias against her.